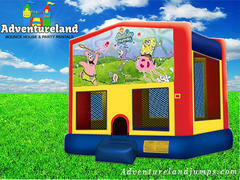 Sponge Bob Bounce House Rental | AdventurelandJumps.com Elk Grove CA. 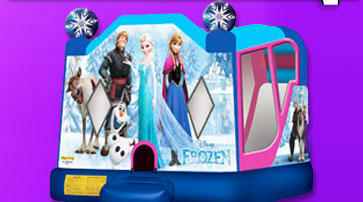 Adventureland Bounce Houses provides Sacramento & surrounding areas the Sponge Bob Bounce House. The Sponge Bob Square Pants large jumper brings this pineapple under the sea to dry land. Fans will love seeing Sponge Bob and his sidekick, Patrick scampering along the ocean floor, on a wild jellyfish hunt! 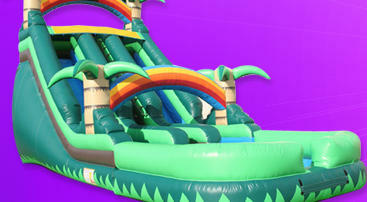 The warm waters of the Pacific Ocean will bring hours of bouncy entertainment. 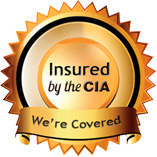 A great way to promote enjoyable exercise at your next festivity, this Sponge Bob Square Pants large bounce house is sure to be a hit.